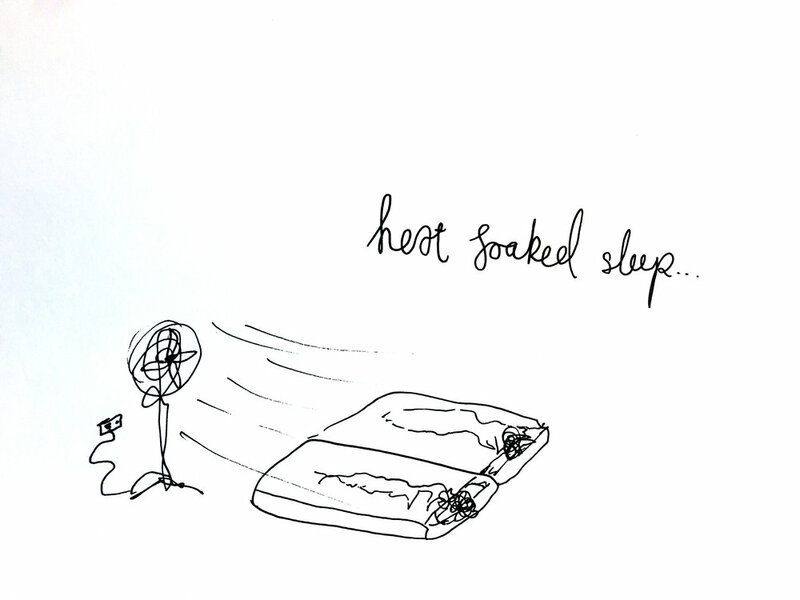 Heat soaked sleep. Drawing Luke Hockley. Mosquito bites from midnight attacks. Jet lagged in the morning from lack of sleep. Hours of television drama with garden time in between. Laps of a swimming pool and three rounds of dessert. Older PostTwenty minutes in the pool.